You never have another chance to make first impression with the front page of your website, because your website represents your company 24/7. To keep the first impression positive, you need to maintain your lending page very authentic, so that, the person doesn’t get confused and can easily access your site. Make it trustworthy through the help of images, logo and graphics. It is often recommended to have a separate subdomain for displaying the current job openings and also allowing the job seeker to apply. A separate subdomain looks professional and serves the entire purpose of recruitment easily. Professional website builders offer recruitment templates that you can easily configure on your website so that the job seekers can search and apply for jobs in a convenient manner. A bland website keeps employees away because no one takes interest working in boring environment. Give your site a mirror view which reflects the environment of your organization, because it makes them aware of your company’s profile. So, it is necessary to let your website convey the specialty which your company has. 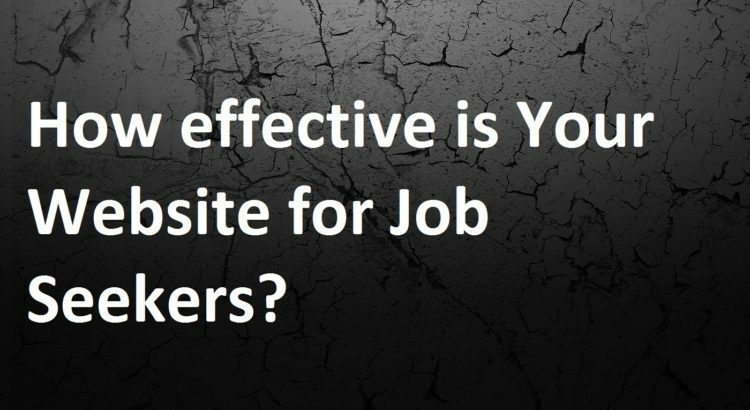 This way, your website gains the job seekers’ attention, whereas a bland site can disinterest them. Your website does not need to be complicated to confuse the job searcher. The information which you are providing should be simple and easy to understand. The website must be easily accessible so that the person can enquire about jobs, find the details about the current job openings and find the relevant person i.e. HR or apply for the position online. Always keep the informative part highlighted and aligned so that, the job seeker may contact the concerned person easily. Under this portion contacts, E-mail address, vacancy etc. are included. It will be better if the entire relevant information about the company and job profile is provided thoroughly with clear image. An employee wants to work in an environment where his personality can fit accurately and the employer understands the value of his work. So, it is mandatory to keep your website simple, authentic, reasonable and flexible.